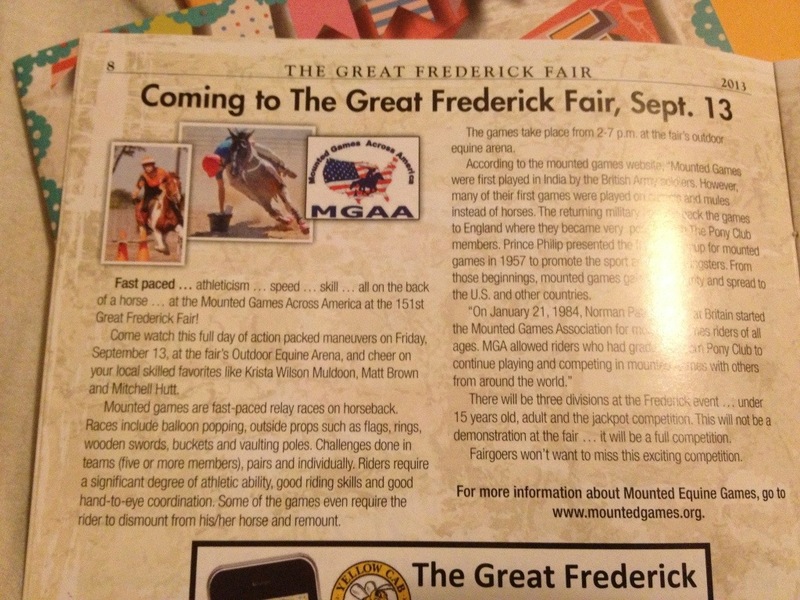 Yesterday I was going through the package I received from The Great Frederick Fair in preparation for our competition being held this Friday during the fair. I flipped through the program of events and was pleased to see us listed on the schedule and then on page 8 I found this amazing write up! It is the single largest write up about an event in the program! And it explains our sport perfectly! Clearly I am very excited.